This is very well put, it expresses perfectly what I have wanted to write for more than 30 years. Please pass it about. 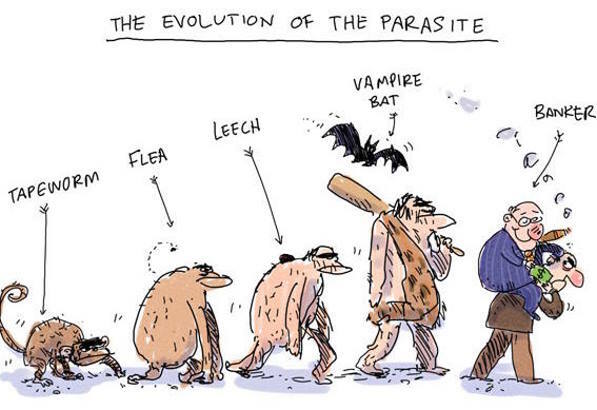 It was originally written by Marko Kloos in March 23, 2007and published on the Munchkin Wrangler website. In 2009, it was published and wrongly ascribed to a Maj. L. Caudill (ret) who may not even exist. Human beings only have two ways to deal with one another: reason and force. If you want me to do something for you, you have a choice of either convincing me via negotiation, or force me to do your bidding under threat of force. Every human interaction falls into one of those two categories, without exception. Reason or force, that’s it. In a truly moral and civilized society, people exclusively interact through persuasion. Force has no place as a valid method of social interaction and the only thing that removes force from the menu is the personal firearm, a paradoxical as it may sound to some. The gun is the only personal weapon that puts a 100-pound woman on equal footing with a 220-pound mugger, a 75-year old retiree on equal footing with a 19-year old gang banger, and a single guy on equal footing with a car load of drunken guys with baseball bats. The gun removes the disparity in physical strength, size, or numbers between a potential attacker and a defender.There are plenty of people who consider the gun as the source of bad force equations. These are the people who think that we’d be more civilized if all guns were removed from society, because a firearm makes it easier for an armed mugger to do his job. 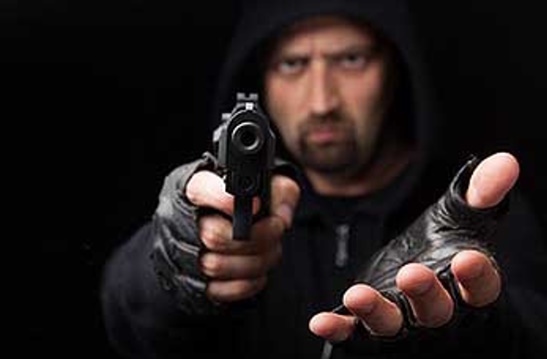 That, of course, is only true if the mugger’s potential victims are mostly disarmed either by choice or by legislative fiat–it has no validity when most of a mugger’s potential marks are armed. People who argue for the banning of arms ask for automatic rule by the young, the strong, and the many, and that’s the exact opposite of a civilized society. A mugger, even an armed one, can only make a successful living in a society where the state has granted him a force monopoly. Then there’s the argument that the gun makes confrontations lethal that otherwise would only result in injury. This argument is fallacious in several ways. Without guns involved, confrontations are won by the physically superior party inflicting overwhelming injury on the loser. People who think that fists, bats, sticks, or stones don’t constitute lethal force, watch too much TV, where people take beatings and come out of it with a bloody lip at worst. The fact that the gun makes lethal force easier works solely in favour of the weaker defender, not the stronger attacker. If both are armed, the field is level. The gun is the only weapon that’s as lethal in the hands of an octogenarian as it is in the hands of a weight lifter. It simply wouldn’t work as well as a force equalizer if it wasn’t both lethal and easily employable. Prophesy for 2016, and how World Events will effect Shooting in Australia. Sorry For the Doom and Gloom, but the Good News is at the end of the article.The Australian dollar will stabilise, but the full effect of the 2015. 35% loss, (as all our imports are paid for in USD, $105. down to .70) will still keep filtering through to further burden Australian shooters. Stock in Wholesalers and Retailer stores will run out and replacement prices will really hurt the industry. Some ignorant, wholesalers and retailers will welcome the higher prices, celebrating that the margin for profit will be greater, without thinking to hard, as they criticize low priced products for lack of profit. They cannot work it out that there customers spending power has been reduced overall, as everything they buy will have been effected by our dollar devaluation. Wages have not risen and the only slight decrease of prices has been in motor fuel. So this causes a lack of sales in Gun Shops, which in reality reduces retail margins for the Gun Shop owners. To compete for the customers reduced spending power Gun shops will be the meat in the sandwich, being torn apart between two dogs, increasing prices and decreasing margins. Of course they have a few other dogs tearing at their hearts, Government/Police impositions on security and paperwork, Banks wanting an ever greater slice of the action and the most ferocious dog of all the government taxation. Compounding the above problem is we are at the mercy of the salivating teeth of our elected representatives who now feel a need to increase GST from 10% of every thing we buy to 15 %. The politicians’s have realised that as they have sent all the jobs to China with the Free trade deal that both parties signed in 1974 the Lima Agreement they are receiving much less income tax and paying out billions more in Un employment payments, so there response if to copy Britains fatal mistake steal more from everyone pockets as they consume. This will take prices of all Shooting equipment up in an ever increasing spiral. They tell us it does not compound but it does, all services cop the increase in costs, fuel, paper, computers and most can never be redeemed, the only way business can survive is to add it on the bottom line. The message here is, if you have any financial resources buy now, as it is never going to be cheaper. Of course it creates even more corruption in the growing black economy with people manufacturing and selling without paying tax. Unfortunately, Gun shops are so oppressively regulated imports are all up for GST at the Customs Barrier. Similarly, in the same way to Firearm Laws, GST makes criminals out of honest people who just want to get on with their lives without Government impositions. Sorry, we are not into the Good News part yet. The American Elections are in November this year, as that advances the thought of Hilary Clinton and the Democrats winning will reduce all international stock markets and they will not be in a hurry to buy US dollars. So it is unlikely that the USD will gain strength and reduce the spending power of our dollar. Well that might be a small point of good news it is inconsequential in the other ramifications of that election, which is the lack of firearm stock being exported to Australia. The Polls suggest that there are 270 million firearms in the hands of the American public, with a population just over 300 million. So when a 100 million firearm owners in the USA get worried about the Democrats, Hilary (Hitelry) Clinton or Bernie Sanders winning the White House, or the Senate on the basis that they will make legislation restricting what can be purchased, they immediately go out and buy up. We here in Australia are still suffering the shortages, due to the reaction of Obama’s idiotic attempts to legislate. 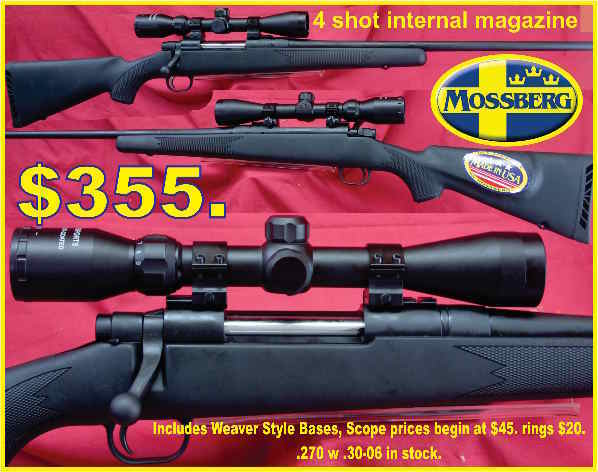 Gun Shops have full pages of backorder’s with importers. When they ask for Expected Time of Arrival, (ETA) they regularly are told, “Not this year” maybe next. This is why we have not been able to get, Marlin Model 39 in .22 LR, or Marlin Model 94s in 357 magnum, or lines of 80 grain .243 ammo, or projectiles. Recently the Dealers have been told by Winchester that they are not expecting any shortages of .22 ammo this year and that they are trying to manufacture more locally at Geelong, but they also mentioned that Winchester USA have stopped supplying all brass cases and without them they cannot resurrect the Brass Mill so won’t be able to produce anything, leaving us entirely at the mercy of what Winchester USA decided to send to Australia. Instead of calling in assistance to help manufacture the Brass they seem to have decided to hunker down and do nothing. With further restrictions on imports from the largest firearm manufacturing country the USA, we naturally turn to the second Europe. So when we try to order from the producers or exporters in Europe they tell us that they have been flat out exporting to the USA, due to the increased demand, they say that the US dollars is worth much more than ours, so can ask bigger prices. They also mention that they have had a million immigrants, bringing with them a huge increase in household burglaries, and that anyone with a firearm licence is buying everything that is not nailed down in their shops. 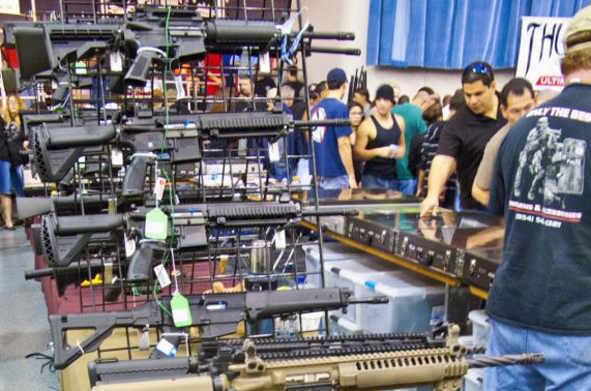 The thought of another 25 million immigrants moving to Europe has fuelled the greatest gun sale ever. Austria leads the most by having the best gun laws. Followed by the French, but Germans are travelling to Rumania and the Baltic states to buy what they are un licenced for at home. Millions of worried customers are buying all available production and pushing up the prices. That makes it harder for us here in Australia where we have an extremely small and restricted market, for most of the worlds largest manufacturers we are hardly worth considering. Even if we had two million shooters licensed to buy guns and ammunition that would not equal the shooters in one of the USA or Europe cities. Petition For Your Gun Rights. Due to our Australian philosophy of ” She’ell be Right Mate”, our Law Abiding Firearm Owners will not raise up their heads and protest, this email goes out to over 9000 of them, yet only 2453 of them have bothered to sign a parliamentary petition, (which costs nothing, and does not subscribe them to thousands of unwanted emails) is it because they are scared and want to be anonymous? Is it because they don’t care if it happens? Is it because they don’t care if they have further restrictions on lever action rifles? Is it because they don’t care that their friends will lose their lever actions, rifles and shotguns? No, its because they care more about the Lotto numbers, or if they are a Holden, or a Ford supporter. They look for logic in Gun legislation they find none, so either conform, or be an outlaw, never considering standing up for their human rights. and put in the simple details and sign to support. The next Police Minister COAG meeting is on in April and they will be asked to make a decision reclassifying Lever Action firearms from Category A to Cat B, Cat B to Cat C and Cat D. If your firearm is reclassified to either Cat C or Cat D you will be forced to surrender it. By the legal mechanism of changing Categories instead of “banning” they are effecting the same result without paying compensation. The April 2016 date for the next meeting has been chosen to gain the maximum publicity from the anniversary of 20 years from the Port Arthur tragedy. The enemies of freedom will be working overtime to produce endless re-runs on the Gogglebox, to fire up as much public animosity and hatred against law abiding firearm owners. Of course our enemies will use every terrorist Act, anywhere in the world to force in more gun laws. They are even using the USA anti gun movement to increase the venom of their Anti Australian propaganda. Okay, You Have Waited for It. Here is the Good News. Above, we mentioned that there are 270 million firearms in the USA, well it came up in the Commonwealth Parliament the other day that in 2015 Australia had 2.7 million legally held firearms, with an increase in Licensed shooters reported being at 16% that doubles the numbers every five years. So by 2020 we will have getting on for 6 million. All we have to do is wait, when the numbers of firearm owners becomes a inescapable majority, we will have politicians swooning at our feet, wanting to bask in the sunlight of supporting shooters. 16% increase is well in front of our population increase at 1.45% and the annual increase of firearm owners could climb even higher as Australians finally wake up to the fact that we are living in a very dangerous and troubled world. The only reverse possible is if our treacherous politicians get away with importing thousands more un educated immigrants to take our jobs, send our currency back to the Middle East and vote Labour. We have been informed by many of our customers that Owen Guns has the lowest priced for the same quality firearms in Australia. If you wish to shop around please give us a call, before you buy. Phone 07 54 825070. 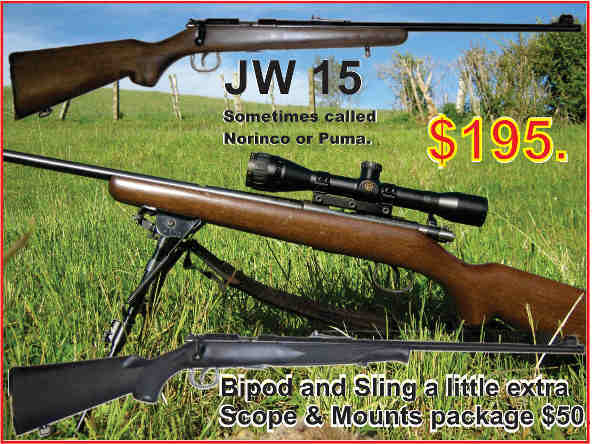 These Rifles are now in Stock as of Feb 2016.